This is for you, the owner. 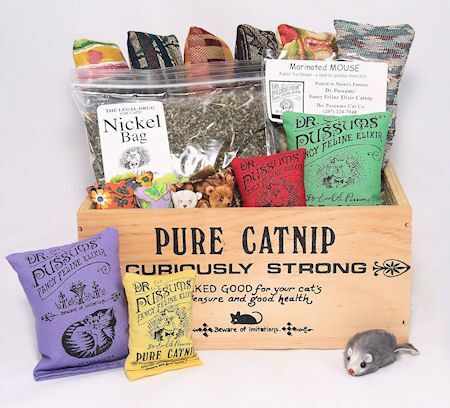 Many cats have particulars as to what he or she wants in a box, and some cats have no real particulars at all; this is the rare, however lucky, owner! The number one reason cats are surrendered to shelters and rescues is inappropriate urination and/or defecation. Understanding litter box management, may play into the success of having a cat for a pet. The following has been taken from a series of professional studies. Out of sight/smell out of mind; keeping boxes where they will offend YOU, is a powerful way to remember to scoop. avoid using those soft rubber catch the cat litter mats. Tend to accidents immediately. Use products specifically designed to break down pet odors. It is important to quickly contact CHCC at 215-247-9560 when you FIRST become aware of the problem. Choosing to ignore the problem, will not help the situation. You must be proactive; set limits on where in the home the misbehaving animal is allowed. Placing obstacles in areas that the cat has used is as simple as using upturned carpet runners or dollar-store door mats (Astroturf). Be honest..if the boxes are not tended as we have listed above, address this with everyone in the home. If the cat is spraying, (cat backs up to an object and twitches his tail and lets loose urine, amounts can vary) be mindful of some things that you might be doing to worsen the problem. Deliberately chase other cats off your property. There are many products on the market. A motion sensing sprinkler, developed against deer is very effective. There are also chemical deterrents that can be bought in hardware/feed stores. If you have cats spraying in your yard, remove exterior clothing prior to coming into the home after garden work. Periodically hose down the doors and bushes near your doors. Certain plants and shrubs encourage cats to mark them, be careful with what you plant in your garden. Be sensitive to changes in your cat's life/environment. Work to minimize the stress. Read the book, Your Home, Their Territory by Tony Buffington DVM PHD. Remember that cats respond better to high praise than negative discipline. There are times when behavior can be so severe that the use of medication is in order. This is always a last resort. Setting good litter box management routines in place from the beginning can help avoid any behavior problems in the future. Remember by nature- cats are very clean animals. Do not hesitate to contact CHCC for any concerns or questions. Feliway is a synthetic copy of the feline facial pheromone, used by cats to mark their territory as safe and secure. Be it short term use for brief periods ie.. house guests, repair persons, car rides or compounded issues that arise in multi pet households-- where not everyone is feeling the love- Feliway has a version of their product to suit. NVRMiss Litter Box is a great product. Developed by a husband whose wife was frustrated by the cat's "misses". This Canadian small business approached us about their boxes. They were looking for a handful of practices in the states to promote their product. People buy one to try, and then comeback to replace every box in the house. Anti-Icky-Poo An enzymatic odor eliminator that works very well. Made in California, we carry it at Chestnut Hill Cat Clinic. Nature's Miracle An enzymatic cleaner that was originally used in preschool cleanups. Effectiveness in pet cleanup was discovered by accident! Scare Crow will humanely and safely chase strays away from areas in your yard where you have it positioned. Often the presence of these cats are the cause for undesirable behavior (spraying) from your own. Available at Primex Garden Center in Glenside. Meow Space can help you manage multiple pet feeding or litter box issues with dogs in the home.